By AiW Guests: S.J. Naudé and Carli Coetzee. AiW note: S.J. Naudé was born in South Africa and studied at Cambridge University and Columbia University. After practising law in New York and London for many years, he returned to South Africa for a master’s degree in creative writing. 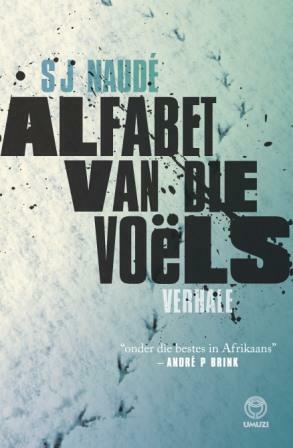 The Alphabet of Birds, his debut work – a collection of ‘breathtaking, tender’ stories (Publishers Weekly) and described by Patrick Flanery as heralding ‘the arrival of a writer of great humanity and style’ – has been translated from the prizewinning Afrikaans original (Alfabet van die Voëls, Umuzi, 2011) by the author. In her AiW review that accompanies this Q&A, Carli Coetzee explores the moving effects of Naudé’s translations (into varieties of English, for the South African and UK/US market), reading and re-reading the collection’s recurrent tropes of ‘alphabets, language and notation systems’ in both the Afrikaans and English versions, to find the ‘original’ ever receding, ‘as if it has already been translated from another language’, as having ‘another original behind’ it. Here they discuss the collection on its latest publication by UK based independent And Other Stories (2015). Carli Coetzee for Africa in Words: Some of the most celebrated recent novels to come out of South Africa circulate almost entirely in English translation. I am thinking here in particular of Marlene van Niekerk’s Agaat. The translation of Agaat has been praised, and Michiel Heyns came up with inventive and brilliant solutions to the problems posed by translating this novel. Yet, reading the English translation after reading the Afrikaans language version, it felt to me as if the deep structures of the novel had shifted in translation. The weight of the poems and songs quoted in Agaat are very different from the English equivalents, no matter how brilliantly matched. With Agaat, I had thought, the language of the novel was partly its theme: Agaat is a complexly conspiratorial encyclopedia of a certain kind of reader’s relationship to the normative Afrikaans tradition of folk music and the hallowed place of Afrikaans poetry in the home and schoolroom. Translating this novel is of course possible, but the loss is also evident – the meta-linguistic elements become invisible. In your own short stories, what one might call an “Afrikaans coded” world is very thin, and is described as anaemic or as symbolically shallow in a number of places, and in more than one story. When the late André Brink described your short stories as indispensable for any reader who wants to be aware of the cutting edge of Afrikaans literature, I wondered – is it? How do you see your own relationship to “Afrikaans literature”? Does your collection engage with “Afrikaans” in any of the ways that Agaat does? This is not a question about Afrikaans, it is a question about a certain literary weight, which Agaat carries self-consciously and your own work, it seems to me, does not. S.J. Naudé: Your question is about literary tradition rather than language. But allow me to start with a point relating to the latter. Language is indeed thematised in my stories, although, I think, in quite a different manner than in a novel like Agaat. Cultural hybridity and the condition of postnationality are strong currents in the stories in The Alphabet of Birds. The state of being an emigrant (which precedes post-national identity in the way that pidgin may precede creole) seems to entail a constant translation of the self to new cultural worlds, and of those worlds to the self. If this then means that the emigrant writer’s experience is located at the intersection of various vectors of cultural translation, and if this experience is thematised in his work, then the act of textual translation would appear to perform or (or re-enact) the themes of the stories. And if a culturally hybrid state of being entails that one’s interior life accommodates a process of constant translation in various directions, then a literary work that speaks of such an interior world could perhaps be seen as existing in-between languages, or in multiple languages, and may not be located in one language only. The notion that one’s writing tends to exist somewhere between languages, and that one should therefore not necessarily view the Afrikaans version of the text as definitive, or “the original”, then tends to push the work away from the traditions of Afrikaans literature. I studied Afrikaans literature and am still an avid reader of the best contemporary Afrikaans literature. 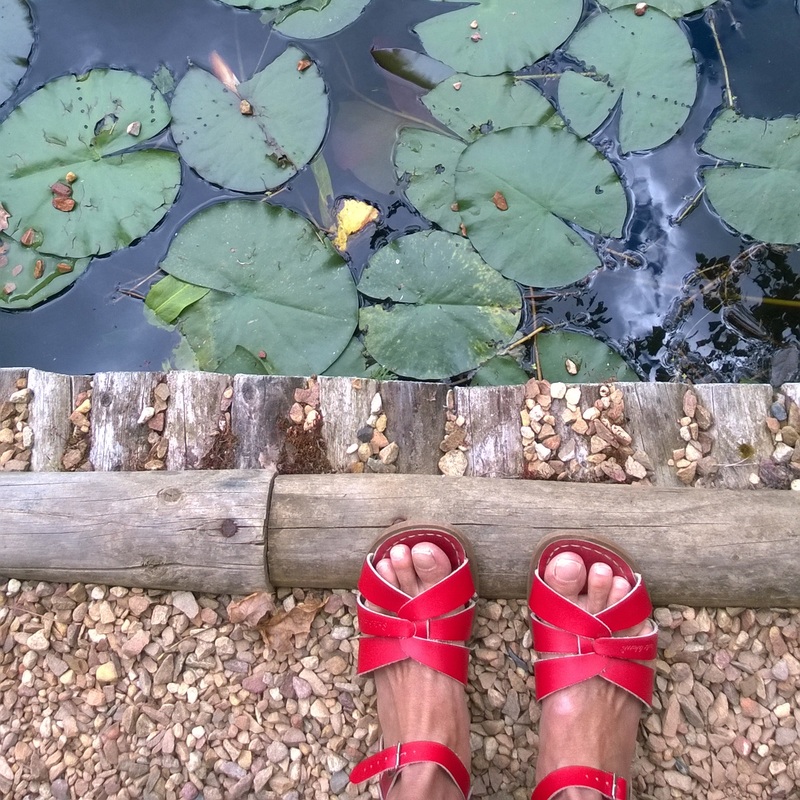 In the same way that rhymes – or portions of the Bible or Qur’an – become embedded like hardened word crusts in the brains of children who learn them by heart, some of the older texts of the Afrikaans canon still no doubt inhabit regions of my mind. My later discovery of cultural (and language) worlds outside that of my (rather isolated and protected) childhood, was however accompanied by a breathless excitement – an adrenalin-fuelling enchantment – that caused the displacement of a good chunk of the accumulated Afrikaans tradition (or that mixed with the latter in odd ways). I furthermore tend to be more interested in other forms of art than in literature, especially film and the visual and temporal arts. Perhaps my work is therefore generally not as strongly informed by literary tradition as by such other forms. I should add that, although the experiences described above may be reasonably new in the world of Afrikaans writing, they are, of course, not unique. Many – even most – writers of my generation, wherever they might be writing, are today global in terms of their themes, settings, influences and reading and travel habits. And many writers write in languages other than those they have grown up speaking, or live in countries where they weren’t born (although not many translate their own work). As an aside: The role of novelist Michiel Heyns – who nimbly straddles Afrikaans and English South African literary traditions – in enabling the transposition of Afrikaans works into an international arena, is interesting. His brilliant translation work is a major factor in the international recognition of each of the Afrikaans writers referred to in the previous paragraph. What we really need in South Africa, rather than dismissals of entire categories of local literature, are of course vibrant literatures in all our languages, and a culture of translating between those languages, so that a single canon may start developing, and so that we may start referring to the same things when we talk to each other about books. The above is a very long-winded explanation to say: my own position within the strangely bifurcated world of Afrikaans and English literature in South Africa is indeed quite unusual. And my work certainly occupies an odd position in relation to Afrikaans – and South African – literary traditions. CC: Is the collection an imploded novel? How would this collection be different if it were in fact marketed as “a novel”? Is it perhaps a novel but an imploded one? 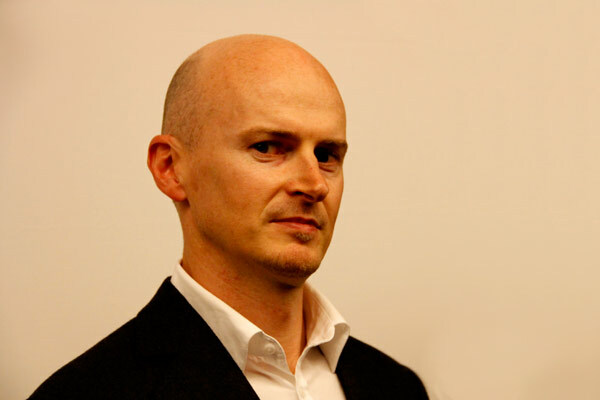 SJN: I like the idea of an “imploded novel”: a collection of connected stories that refuse to become a novel. Stories that retreat from the novel form, rather than approach it. Texts that may be either the scaffolding for, or the ruins of, a novel, and that intend to be nothing more and nothing less. Why should we insist that something is a novel, even when it actually wants to be something less easily classifiable, simply because the demands of modern publishing require that something must parade as such? There is, of course, nothing new about the idea of a cycle of stories that are linked through themes, motifs or reappearing characters. Such stories may be mirrors or shadows of each other, may answer or oppose or undermine each other. The lengthy (sometimes novella-length) stories in my collection do, I hope, something slightly different. They are exceptionally diverse in their subject matter and setting, but are also closely linked in certain ways. They seem to both clash and engage intensely with each other at the same time, which is why the violence suggested by your notion of an “imploded novel” seems apt. CC: Eileen Julien has written an influential piece, in which she argues that the contemporary African novel is extroverted, interpreting Africa for a reader elsewhere. Is your work extroverted in this way? The use of Afrikaans as medium is confusing and ambiguous; is it a performance of a certain kind of self- extroversion? In other words, is the use of Afrikaans an estranging effect, rather than as J M Coetzee describes speaking Afrikaans as sinking into a warm bath? SJN: In the nineteenth century, writers in the northern centres of colonial power directed their work at their fellow-countrymen, even though it was apparent that their books would also be circulating elsewhere in the world. They wrote as if they were speaking in (as one commentator calls it) a “nation-sized room”. They didn’t feel the need to take account of readers in the colonies or elsewhere in the northern hemisphere. Writers from the colonies have historically been very aware that they were addressing different audiences simultaneously. There were simply never enough readers in their own reading markets, and the route to a literary career necessarily involved publishers in London or Paris. Someone writing in Senegal, would, for instance, have been keenly aware that they were addressing a French audience as much as (or more than) a local one. This presumably means that writers in the colonies were developing and honing instincts that would make their work increasingly extroverted. This would have applied particularly to authors from the Global South. I’m not sure that’s what my stories do, or, at least that they are extroverted in a single direction. I would suggest that the vectors of cultural translation that are at work in the stories extend in various directions, to and from various worlds. And sometimes the strangeness of the Afrikaans may serve to effect self-extroversion, but more often, I think, it enables erasure, or at least a certain kind of masking. As regards the issue of language and strangeness: at the time that I wrote these stories, I had become a stranger to Afrikaans. I hadn’t really spoken it for about sixteen years. My dormant Afrikaans, when I did speak it, had an overly formal ring to it. So, the intense engagement with Afrikaans that was demanded by the process of writing felt both uncomfortably close and estranging. Writing in Afrikaans highlighted the enormous distance between the writing self and this new-old world that was South Africa. Simultaneously, it also forced me into an awkward intimacy with the half-buried idioms of the language. And the challenge was then to get the Afrikaans to bend around subcultural worlds, settings or textures that one would not traditionally associate with Afrikaans, but that felt familiar to me. CC: The topic that interests me the most in your work is that of resisting communication, or interpreting a world through a language one does not speak (such as the language of birds). SJN: Deborah Levy has spoken of “the dead words of corporate culture”. As someone who spent many years of my life in conference rooms, negotiating international business transactions as a lawyer, I certainly know what she means. Writing fiction can be a desperate form of defence against the deluge of corporate communication: the latter draws on that paper-thin category of words and expressions that fungible functionaries of the commercial world use to communicate with each other (or to sell things to consumers that they don’t need). The world has become obsessed with so-called “plain English”. Multinational companies regularly arrange training sessions for their employees from around the world to teach them (in baby-language) how to eradicate anything other than such English from their communications. Writing and other ways of making art would seem to represent the last kind of labour that is still irreducibly specific to the individual. The only activity that may remain secret and complex, that can escape exhaustive analysis and full comprehension – and plain English. So, the world of commerce has more or less done away with all languages bar English, and has, in the case of the latter, purged itself of most words and modes of expression. May the best kind of revenge be to reappropriate dead corporate English, to write a novel using nothing else? Perhaps that could be a strategy to wrest the last few words from the chest of the Corporate Beast, sucking out its last foul breath, leaving it with nothing but a full stop. 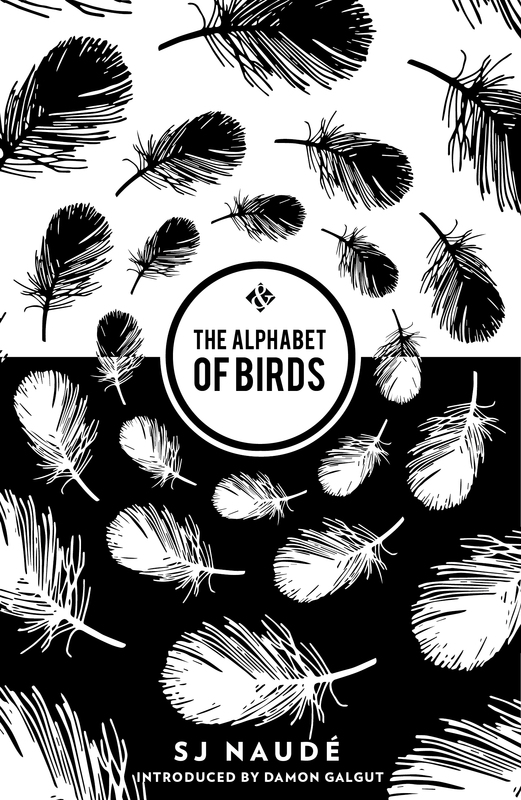 Read Carli Coetzee’s AiW review of Naudé’s The Alphabet of Birds. Thank you for bringing this interview. As always Naudé offers fascinating into art and literature.